What is the law on deliberate euthanasia in Britain and other European states? Ursula Smartt, senior lecturer in law at Thames Valley University in West London, explains. Apart from in The Netherlands, euthanasia is against the law, and classed as a criminal act. Euthanasia is popularly taken to mean the practice of helping severely-ill people die, either at their request or by taking the decision to withdraw life support. The definition under Dutch law is narrower - it means the termination of life by a doctor at the express and voluntary wish of a patient. Since the Dutch Supreme Court declared in 1984 that voluntary euthanasia is acceptable, the law allows a standard defence from doctors if they have adhered to ten clearly defined official guidelines and conditions. These hinge on the intentions of the person wanting to die, on the request and whether or not the suffering is relievable. It is not a condition that the patient is terminally ill or that the suffering is physical. Citizens from other countries are not eligible for euthanasia in Holland. Other European countries do not allow euthanasia even if a patient wants to die - as a matter of public policy, the victim's consent does not provide a defence in the UK. Deliberate euthanasia would normally leave anyone assisting liable for murder, though liability can be reduced to manslaughter on the basis of diminished responsibility. Within English law, a difference is made between acting and refraining to act. Passive euthanasia is when treatment to which the patient has not consented is ended. A landmark ruling came in the 1993 Bland case. Anthony Bland was a 17-year-old left severely brain damaged after the 1989 Hillsborough Football Stadium disaster. His parents and the hospital authority concerned sought permission from the High Court to withdraw the artificial nutrition and hydration that was keeping him alive. The High Court and the House of Lords agreed. Active euthanasia occurs when treatment is administered with the intention of ending the patient's life. In a 1985 trial known as Dr Arthur's Case, a Down's syndrome baby, John Pearson, was rejected by the mother soon after birth. Dr Arthur, a highly respected paediatrician, prescribed a sedative designed to stop the child seeking sustenance. The child was given water but no food, and died just over two days after birth. Dr Arthur said in a statement that the purpose of the drug was to reduce suffering. Initially, Dr Arthur was charged with murder by poisoning - later the charge was reduced to attempted murder. The prosecution argued that though there was no intentional murder, the doctor had declined to operate to save the child's life and the child should have been left to die of natural causes. Instead, the doctor had administered a drug which had caused the eventual death of the child. Professor Campbell, an expert witness at the trial, argued: "There is an important difference between allowing a child to die and taking action to kill it." 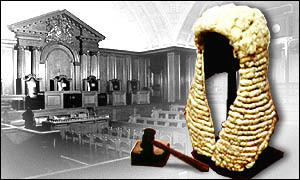 Dr Arthur was acquitted by the jury at Leicester Crown Court. It was decided that he had not committed the act of 'positive euthanasia', he had merely prescribed a drug, which had resulted in the peaceful death of the child. There have been so far only a few court cases revolving around the question of euthanasia. The true extent of how many people are helped to die is far from clear. Links to more Euthanasia stories are at the foot of the page.